My husband and I just returned from visiting family on the east coast. We flew into Charlotte, North Carolina and spent some time at the U.S. National Whitewater Center where we spent the day challenging ourselves on zip lines, ropes courses, and rafting level 2, 3 and 4 rapids on their man-made river. This is where the Olympians train and where the National Championships are held annually. It was exhilarating to be doing something my mind said no to, but my body said yes. 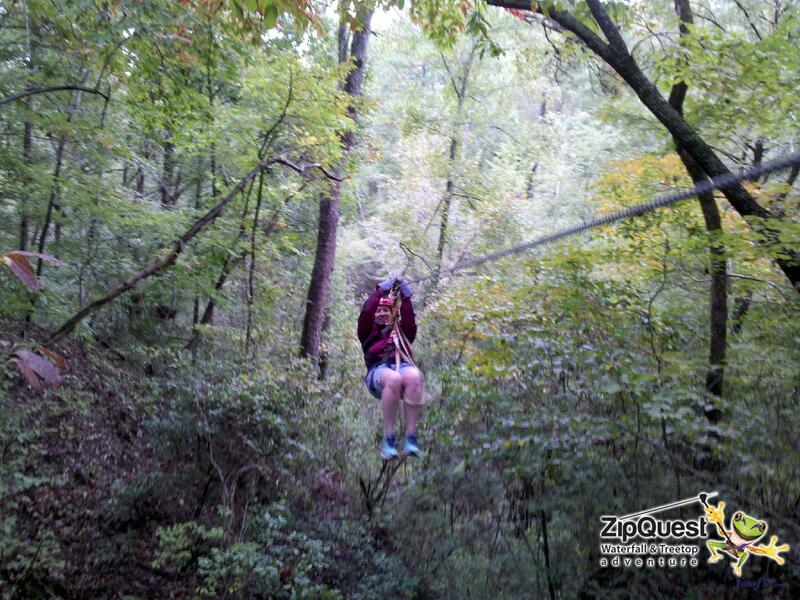 As if that wasn’t enough, we then proceeded a few days later to endure a day of zipping on even more challenging lines in Fayetteville, North Carolina at an adventure course called Zip Quest. Now, I could have easily skipped the Fayetteville fun, but my brother-in-law had prepaid so we were committed. When I checked out what was in store for us on the web site the day before, I was sure I would not be participating. 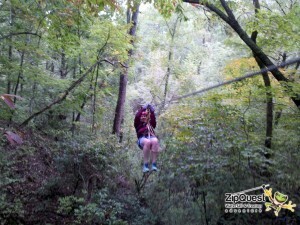 Eight zip lines in a row, some 750 feet long, climbing to sixteen different platforms? Spiral staircases wrapped around tree tops? Suspension bridges over waterfalls? Once we arrived, we met our guides, got our gear and were given instructions. My body started ignoring my mind and off I went. “I can do this,” I said to myself. “Look at all this natural beauty. How can I say no to this?” I rationalized. I just needed to let go of the fears that were screaming ever so loudly in my head. Letting go is not something that comes easily for me. I just retired from 15 years of helping people preserve their memories. I tend to hold onto old thoughts like a scrapbooker holds onto her great great grandma’s baby photo, even though she never met the woman. Letting go is new for me so realizing that people change, sometimes as often as the season, is a foreign idea. I can’t seem to understand that I am not who I was last year or the year before that, even though my photo albums suggest something different. I am practicing letting go in my daily life by being non-judging, trusting, and more patient, but it isn’t easy. Making my body do things like yoga, meditation, keeping a journal, and yes, even zip lining is one way to encourage my mind to follow. I know that letting go will allow me to have more in my life of what I want: joy, grace, and acceptance. Letting go is the key the gatekeeper needs to allow me to have what I deserve and I am ready to step forward and claim it. I can just hear you going “WooooHooooo!” as you zip through the trees. Thank you for this thought-provoking post. As I age and accumulate experiences and opinions, I find it harder to know what to keep and what to toss compared to my younger days when I had less life to draw from. Making this a mind-body project is a great approach. I like to call it all wisdom, but when the data starts to mesh with itself and become mush, it is time to do some spring cleaning. Thanks for reading, Suzanne. Love your adventure..that is one that is on my list!! Love the letting go theme. Another great post! Keep them coming! Love ya! Thanks for reading today.It can’t possibly be as scary as what you’ve done o while trapezing, but for me it was exhilarating.